John Ford and John Wayne, two titans of classic film, made some of the most enduring movies of all time. The genre they defined—the Western—and the heroic archetype they built still matter today. For more than twenty years John Ford and John Wayne were a blockbuster Hollywood team, turning out many of the finest Western films ever made. Ford, known for his black eye patch and for his hard-drinking, brawling masculinity, was a son of Irish immigrants and was renowned as a director for both his craftsmanship and his brutality. John “Duke” Wayne was a mere stagehand and bit player in “B” Westerns, but he was strapping and handsome, and Ford saw his potential. In 1939 Ford made Wayne a star in Stagecoach, and from there the two men established a close, often turbulent relationship. Their most productive years saw the release of one iconic film after another: Rio Grande, The Quiet Man, The Searchers, She Wore a Yellow Ribbon, The Man Who Shot Liberty Valance. But by 1960 the bond of their friendship had frayed, and Wayne felt he could move beyond his mentor with his first solo project, The Alamo. 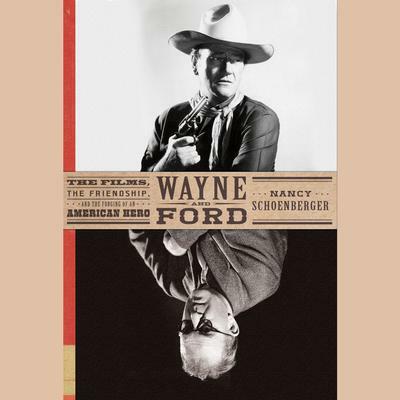 Few of Wayne’s subsequent films would have the brilliance or the cachet of a John Ford Western, but viewed together the careers of these two men changed moviemaking in ways that endure to this day. Despite the decline of the Western in contemporary cinema, its cultural legacy, particularly the type of hero codified by Ford and Wayne—tough, self-reliant, and unafraid to fight but also honorable, trustworthy, and kind—resonates in everything from Star Wars to today’s superhero franchises. 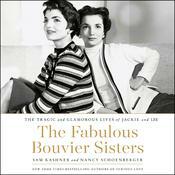 Drawing on previously untapped caches of letters and personal documents, Nancy Schoenberger dramatically narrates a complicated, poignant, and iconic friendship and the lasting legacy of that friendship on American culture. Nancy Schoenberger is a professor of English and creative writing at the College of William and Mary. She is the author of several books, including Dangerous Muse: The Life of Lady Caroline Blackwood, and coauthor with her husband, Sam Kashner, of books on Oscar Levant, George Reeves, and the relationship between Elizabeth Taylor and Richard Burton.